Every so often I find an image so beautiful and thought provoking I want, almost need, to share it. 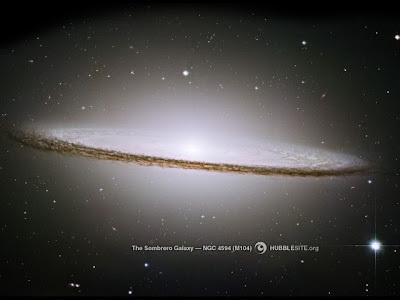 This image of the Sombrero Galaxy taken with the Hubble Space Telescope is one of those images. It is listed as M104, and this image, which is actually a composite of six images, was taken May to June 2003. The Sombrero Galaxy is visible from the surface of Earth with a small telescope—although nothing so vivid as the Hubble image. It is 28 million light years from Earth, and 50,000 light years across. Its beautiful shimmer is a reminder of the majesty, and magic, of our universe. 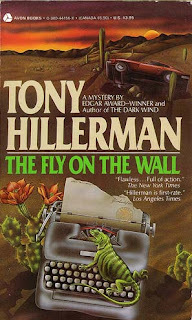 Tony Hillerman is a writer who nearly slipped past me. He was a bestseller in my teenage years and I have always had a slight bias against the big sellers because I thought, and rightly so in many cases, their fiction was overstuffed and vapid. But Tony Hillerman’s fiction certainly does not fall in that category. It is both lively and interesting. His work deserves its bestseller status because he was a damn fine writer, which should be a requirement to finding a place on the lists. I recently read one of his early novels, The Fly on the Wall, originally published in 1971 by Harper & Row. It is the first Hillerman novel I have read that didn’t star either (or both) Jim Chee or Joe Leaphorn and I really enjoyed it. The protagonist is a political writer for the Tribune named John Cotton. The location is never fully identified, but the descriptions and climate make it seem like an Eastern state; probably, a place like Virginia. It opens with Cotton writing his column, an hour or so before deadline, when a jubilantly drunk colleague interrupts him with the news that he has a huge story about the state governor’s office. Cotton doesn’t pay much attention, but a few minutes later the man falls to his death in the state capitol building. He doesn’t really make any connections there either, except that his reporter’s instinct makes him curious about the big story his colleague spoke of. Then things start to happen that make Cotton more and more curious. The Fly on the Wall is a whodunit with enough intrigue and action to make it more akin to an American-style crime novel than the old British Agatha Christie-style mystery. It is plotted with a precision that only solid and professional whodunits are, but it is also filled with suspense and, in a few scenes, violence—not just the hint of violence, but actual violence. There is one scene in particular that lifts this novel above most in the category; a scene just outside Santa Fe, New Mexico (in the only chapter of the novel the protagonist is outside the bleak wintery locale of his newspaper job) that is a beautifully rendered chase scene. 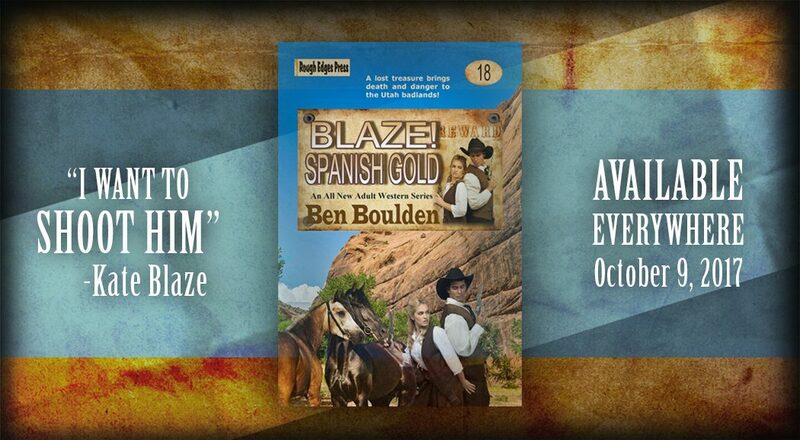 It is a scene that could have been lifted from an early David Morrell novel, but at the same time it is all Tony Hillerman. The novel has a sense of reality to it. Mr Hillerman was a newspaperman, and the book acts as a guide to what the industry must have been like in the 1960s and 70s, particularly what it must have been like to be a political reporter: the deals and counter-deals; trying to report factually while also not angering the politicians enough to freeze you out; the jaded cynicism matched against the idealistic sentiment of the job. 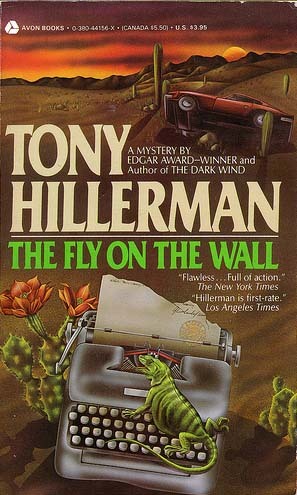 The Fly on the Wall was, according the Wikipedia, Hillerman’s second novel, but it doesn’t feel like the work of a man learning his trade. It is full-bodied and has the sense of importance. It is as fresh today as it was when it was first published. In fact as I read it, it felt as though it was written yesterday, and I bet the same will be true in ten years and then again in another ten. Do yourself a favor and read this one. This review originally appeared on the now defunct blog Dark City Underground July 18, 2010 in slightly different form. I will be moving a few other reviews from DCU to Gravetapping over the next several weeks. I will also be posting some original content very soon. Warren Murphy is best known for his The Destroyer series (he co-created it with the late Richard Sapir), but his body of work is impressively diverse. He has authored everything from horror to mystery to suspense to fantasy. He won two Edgar Awards and two Shamus Awards in the 1980s and, while he has been silent for nearly two decades, he is a giant in the field (at least on my bookshelf). I pretty much enjoy all of his work, but I am particularly fond of his suspense novels. 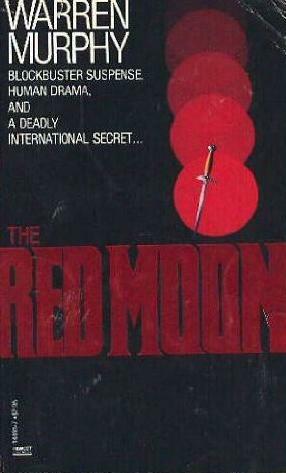 I recently read his 1982 novel The Red Moon and it is as exciting, vibrant and interesting today as it must have been when it was published more than thirty years ago. And the book itself seemingly has an interesting history—a history I am only guessing at. It appears to have been written as a novelization for a film, which was never released. The copyright holders are Davis/Panzer Productions (a production company that produced the “Highlander” television series) and Stan Corwin Productions. While the genesis for the novel is somewhat shadowy, the novel is wonderfully shadowy. It chronicles the story of one Christopher Caldwell—a former CIA agent who dropped off the radar when his wife and child were murdered in a car bombing. He is reluctantly pulled back into the clandestine world of murder and betrayal when his father-in-law is found dead in what is ruled a fishing accident. The canvas of the story is broad and it includes a World War 2 art theft, oil, Iran—it was published a mere three years after the Shah was deposed—greed, secrets and betrayal. 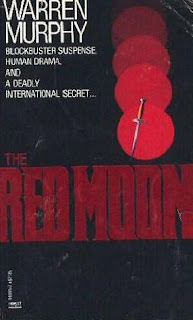 The Red Moon was a paperback original published by Fawcett Gold Medal and it is very much a novel of its time. The plot is straight out of the 1980s: Nazi hunters, big oil, Mideast plotting, sinister corporations and corrupt politicians. The style is different from many of Warren Murphy’s suspense novels—there is less humor, although he does have some fun with two Israeli Mossad agents who tend to speak with British accents, and it reads something like a contemporary Robert Ludlum novel, less the exclamation marks! While The Red Moon is different than some of Mr Murphy’s work it is no less entertaining. 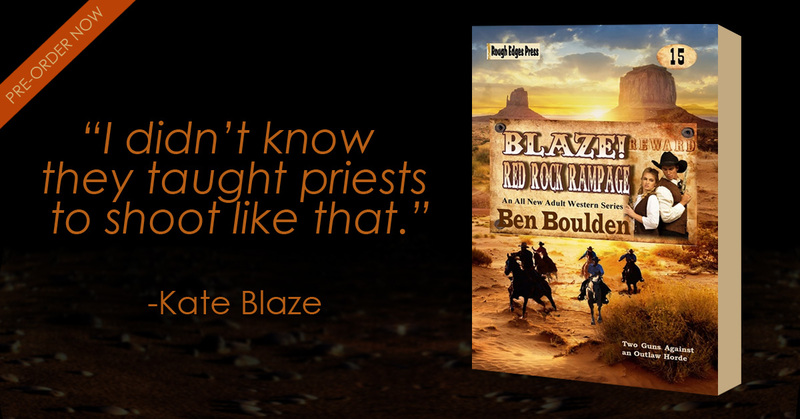 It is sharply plotted; the story unwinds with enough surprises to keep the reader wondering. The bad guys are introduced as the story moves forward, and a few are genuinely surprising. 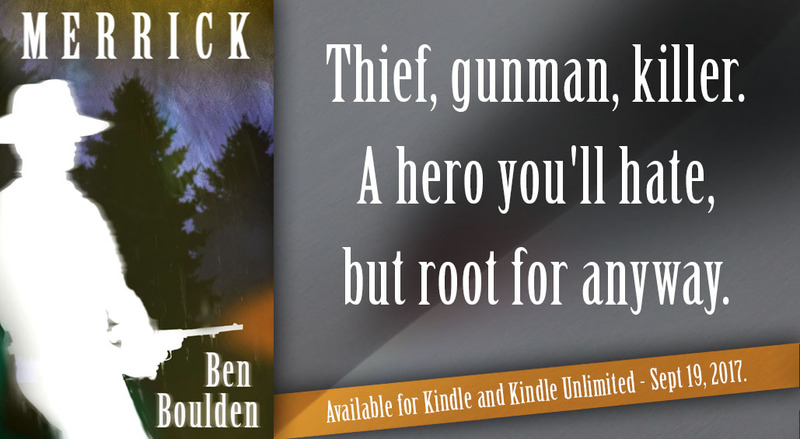 The prose is simple and effective and the dialogue is used expertly to explain the characters motives and quicken the pace from crisis to crisis. The Red Moon is an entertaining suspense novel. It is large and complicated (376 pages in mass market), but it reads better and more swiftly than many of the genres’ novels. And while its style is just a shade different than most of Mr Murphy’s suspense novels it is also one of his better, which is a big statement since much of his work is pretty awesome. This review originally appeared on the now defunct blog Dark City Underground July 13, 2010 in slightly different form. I will be moving a few other reviews from DCU to Gravetapping over the next several weeks. TOR published 10 of Jack M. Bickham’s novels between 1983 and 1994; two novels were reprints in mass market and the remaining eight novels were originals published both in hardcover and mass market paperback editions. 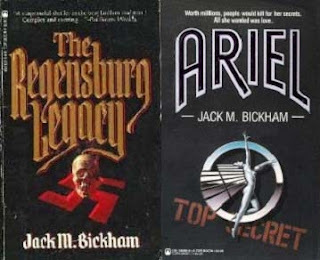 Mr Bickham’s TOR novels represent his best work, and each, including the reprints, are superiorly crafted suspense novels worth seeking out. The Regensburg Legacy. 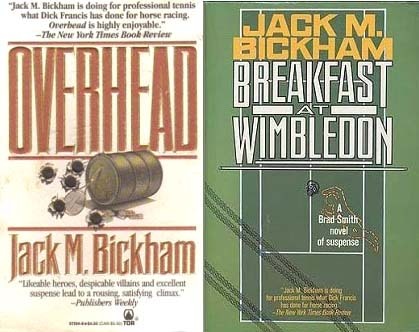 Mr Bickham’s first novel published by TOR, and it is one of the best. It was a reprint—originally published by Doubleday in 1980—released by TOR in mass market in 1983. TRL is a swift and entertaining suspense novel in the vein of Robert Ludlum; however it is superior to Ludlum’s work because of its plotting is tight and its prose is lean. Ariel. A mass market reprint. It was originally published by St. Martin’s Press in 1984, and the TOR reprint was released in 1985. Ariel is the largest of the titles published by TOR. It is a technology based tale about a commercial attempt to develop artificial intelligence. The technology is dated, but the story is still vibrant due to Mr Bickham’s use of plotting and character motive; however, it shows its age more than any of TOR titles. Miracleworker. 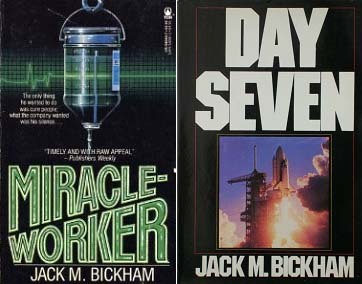 The first original Jack M. Bickham novel published by TOR. It was released in hardcover in 1987, and mass market in 1988. It is a sort of medical thriller, and it is heavy on suspense. Day Seven. It was published by TOR as a hardcover in 1988, and mass market in 1989. It is an exciting technology centered suspense novel. 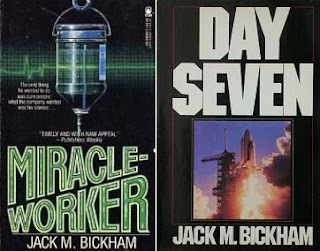 It features a somewhat farfetched storyline—a mission to Mars is sabotaged by an assortment of bad guys—but it features Mr Bickham’s trademark sharp plotting and character motive development. This is one of my favorite non Brad Smith novels. Read the Gravetapping review. Tiebreaker. This is the first (of six) novel to feature Brad Smith. It was published in hardcover in 1989, and mass market in 1990. I can’t say enough about the Brad Smith novels. 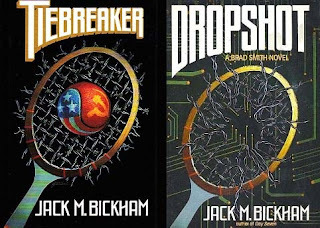 Mr Bickham managed to make each of the titles a very personal affair for Smith without the melodrama, which often bogs down serial character novels. Read the Gravetapping review. Dropshot. The second novel featuring Brad Smith. It was released in hardcover in 1990, and mass market in 1991. Smith nemesis Sylvester (a sort of Moriarity) is introduced as more than a shadow to both the reader and Brad Smith. Read the Gravetapping review. Overhead. The third Brad Smith adventure was issued in hardcover in 1991, and mass market in 1992. This is the weakest of the Smith titles, but it is still a very readable and entertaining novel. Read the Gravetapping review. Breakfast at Wimbledon. It is the fourth Brad Smith novel. It was released in hardcover in 1991, and mass market in 1992. BAW is the first Jack Bickham title I read, and I can still remember picking it off the bookstore shelf on an overcast, and unusually cool day, in July. Read the Gravetapping review. 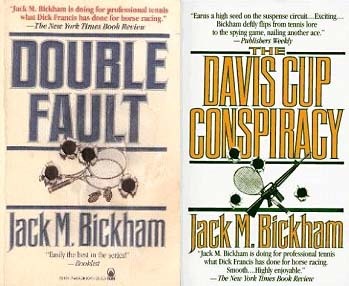 Double Fault. The fifth Brad Smith novel. It was released in hardcover in 1993, and mass market in 1994. DF is the best of the Brad Smith novels. It is the first to move away from the cold war story; it is a Vietnam revenge story, and it is the most personal of the Brad Smith novel. Read the Gravetapping review. The Davis Cup Conspiracy. The sixth, and final Brad Smith (and Jack M. Bickham novel), published by TOR. In this case it was published by TOR’s imprint Forge. It was released in hardcover in 1994, and mass market in 1996. The significant lag between the release of the hardcover and mass market paperback make me think this title didn’t sell as well as the earlier titles.